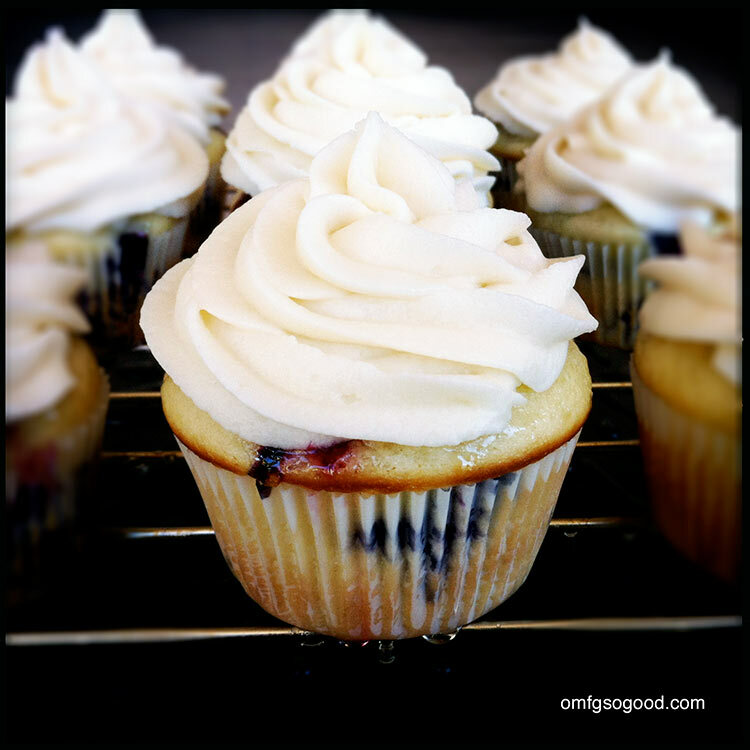 lemon blueberry cupcakes with lemon mascarpone buttercream | omfg. so good. Seriously though, I’ve been on a major citrus kick the last few weeks, perhaps inspired by the warm weather. Or my body is telling me I’m starved for Vitamin C. It could also be the fancy new citrus zester I treated myself to last week. I’m not ashamed to admit I’m a sucker for a shiny new kitchen gadget. Remember the brûlée torch? I was caramelizing the crap out of everything for weeks. As a matter of fact, there is a batch of lemon creme brûlée in the oven right now. GO GO, GADGET GO. But, back to the cupcakes. There’s just the right amount of bright flavor from lemon zest in the cake plus the added tang from a lemon simple syrup drizzle. Fresh, juicy blueberries hovering inside. And did I mention the lemon mascarpone buttercream? Sh*t, that alone is drool inducing. Am I right? Preheat the oven to 350 degrees. Line a cupcake tin with paper liners. Whisk the flour, baking soda, salt and lemon zest together in a bowl. In the bowl of a stand mixer, fitted with the paddle attachment, combine the butter and sugar and mix until pale and fluffy. Add the eggs, 1 at a time, and mix until combined then add the vanilla. Add the dry mixture, alternating with the sour cream, ending with dry mixture. 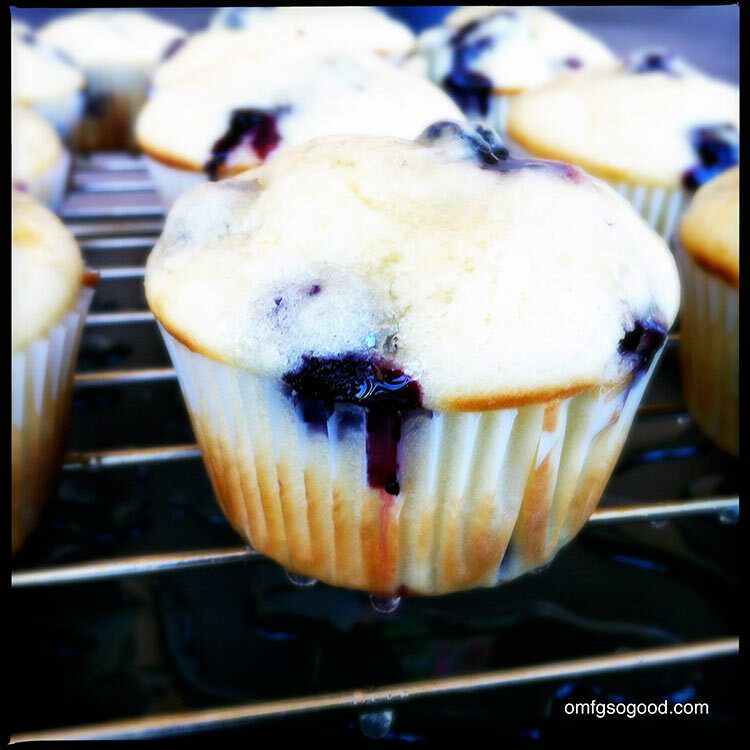 In a small bowl, combine the blueberries with the 1 tbsp lemon juice and 2 tbsp flour and toss to evenly coat. This will help the blueberries stay suspended in the cakes rather than sink to the bottom, and it adds just a smidge more lemony goodness. 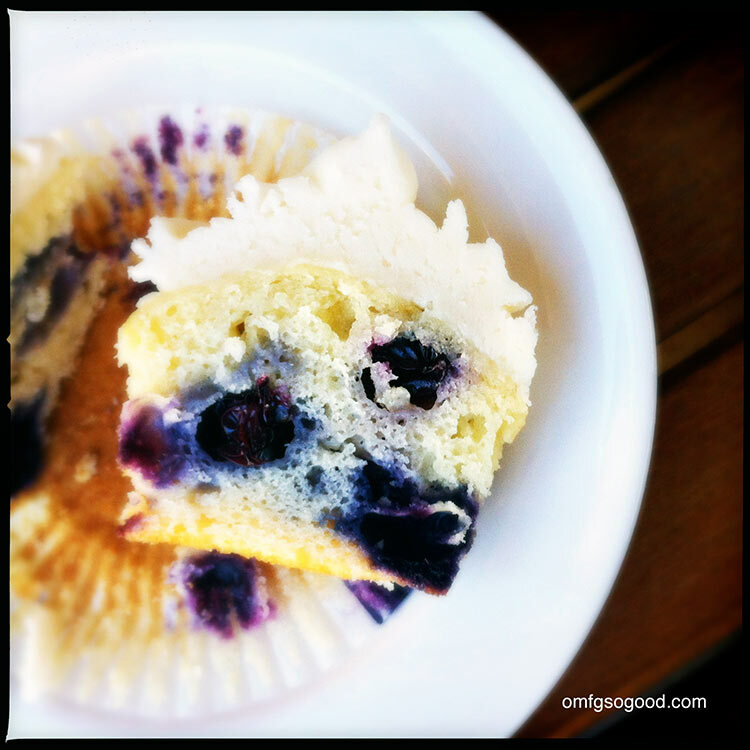 Gently fold the blueberries into the cake batter, then spoon into the prepared cupcake tins, filling each around 2/3 full. Bake in the preheated oven for 16 – 18 minutes or until they spring back to a light touch. While the cupcakes are baking, make the lemon syrup by combing the juice, sugar, water, and lemon zest in a small saucepan over medium-high heat. Stir to dissolve the sugar and bring to a low boil, then reduce the heat to medium-low and simmer for around 5 minutes. Remove the pan from the heat and transfer to a glass bowl to cool. Once the cakes are finished baking, remove from the pan and allow them to cool to room temp on a wire rack set over a sheet pan. Poke random holes in the top of each cupcake with a toothpick, then pour the lemon syrup evenly over each cake. To make the mascarpone buttercream, add the butter and mascarpone to the bowl of a mixer fitted with the paddle attachment. Mix until smooth and free of lumps, then slowly add in the confectioner’s sugar. Mix until combined, then add the vanilla and lemon juice and continue mixing until light fluffy. When the cupcakes have cooled completely, top each with a generous glob of buttercream. Oh baby. I’m hooked, and I can’t stop staring. 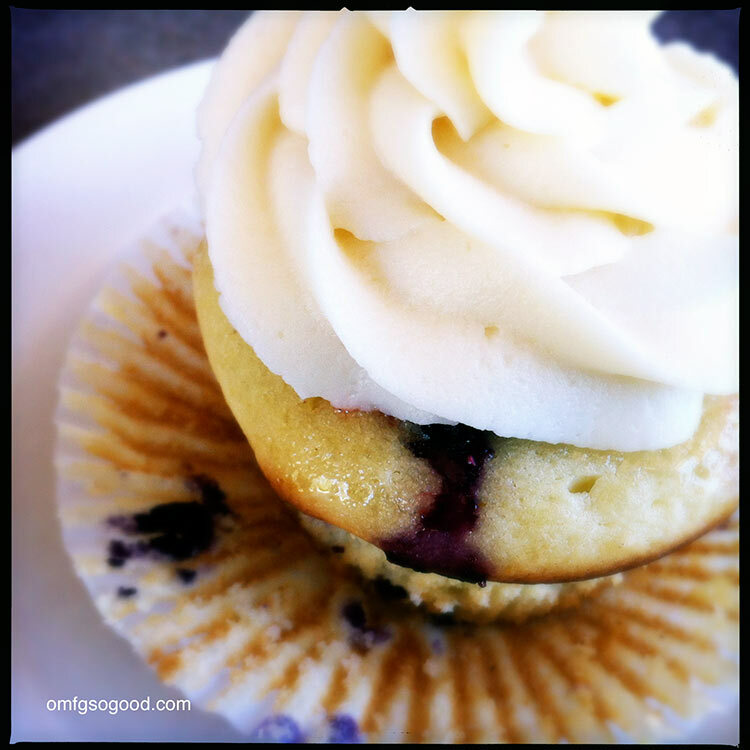 yum, lemon mascarpone buttercream sounds good! Looks delicious. 🙂 Love lemons with blueberry.